Dangerous chemicals found in Indianapolis park. INDIANAPOLIS — At Sandorf Park on the city's near southeast side gates block the entrance of the park. Old playground equipment was supposed to be replaced with new state-of-the-art play structures, outdoor exercise equipment, a zip-line and more. Until it was announced in April of last year - after the city received a grant to revitalize the park - and it would reopen in September. But September has come and gone, and the park is still closed. "A lot of people were talking about it and excited," Susie Bandy, who lives near Sandorf Park, said. "They took up the playground that was there, fenced it up and put 'park closed' and never communicated nothing to anyone. So like where is this that they promised?" Call 6 went digging to find out why. 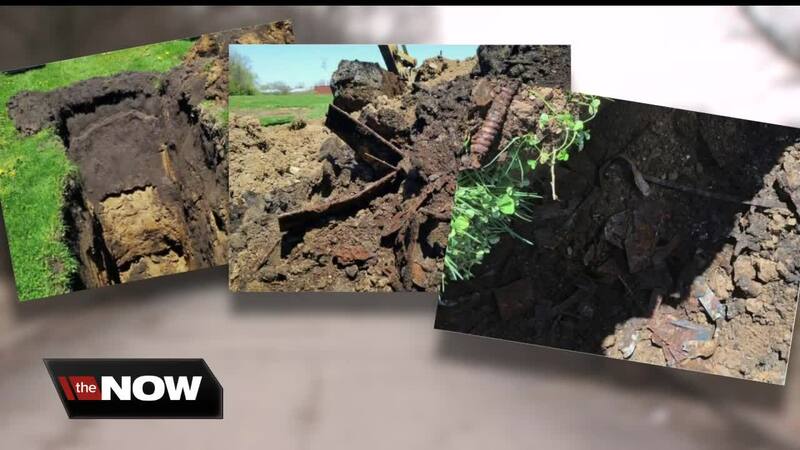 Construction workers discovered industrial sand and metal parts buried in the ground. The crews called in the Department of Public Works to test the soil, as they're in charge of environmental concerns in the city. When soil samples were taken in May, they showed alarming levels of lead and Arsenic in the ground. Work was stopped, and the results sent to Indiana's Department of Environmental Management. Since then, the community has been out of the loop. "They says they've communicated to the community, nobody in this community has been communicated anything," Bandy said. "I have young children, grandchildren that play up there. We were up there this week. Is this safe for me, is this safe for my kids?" To figure out what happened, RTV6 went to DPW Director Dan Parker. "We did testing last May. That initial round of testing showed some elevated levels of certain things that concerned us," Parker said. "We brought in the Marion County Health Department and the Indiana Department of Environmental Management." The city told RTV6 they had a community meeting back in December. But why did it take seven months after testing to have that meeting? "We wanted to make sure we had got all of our testing done first before we brought everyone together," Parker said. "Because if you have a meeting and don't have answers that when people are prone to say, 'oh my gosh.'" For now, the city says there is no threat to the community around the park; it's merely the soil inside the enclosure. The city is working on a clean-up and containment plan for the park. But so far, there is no timeline. They say they are continuing work with the Indiana Department of Environmental Management on recommendations and the best plan for the property.